Just Saying......: One day trips around Bangalore! 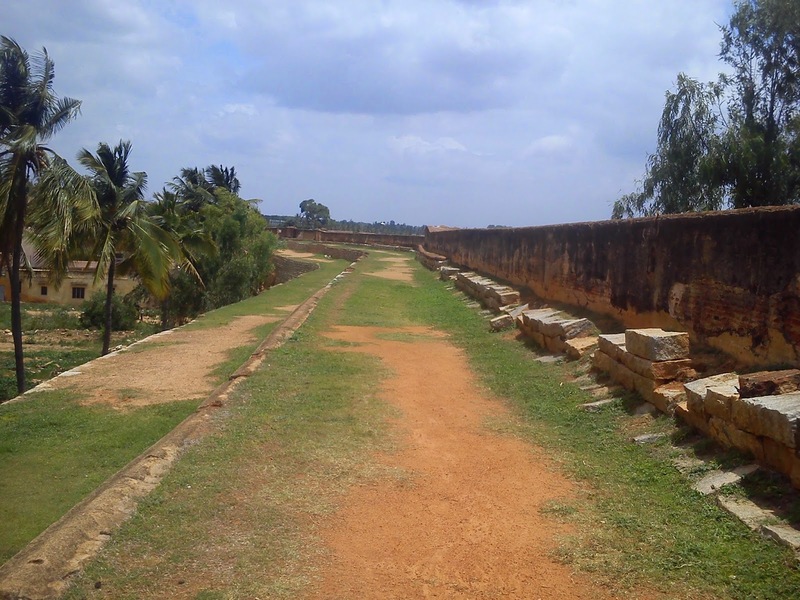 One day trips around Bangalore! It has been a while since I explored new places. The last time I traveled was during the Gokarna-Goa-Dandeli trip in December 2013. 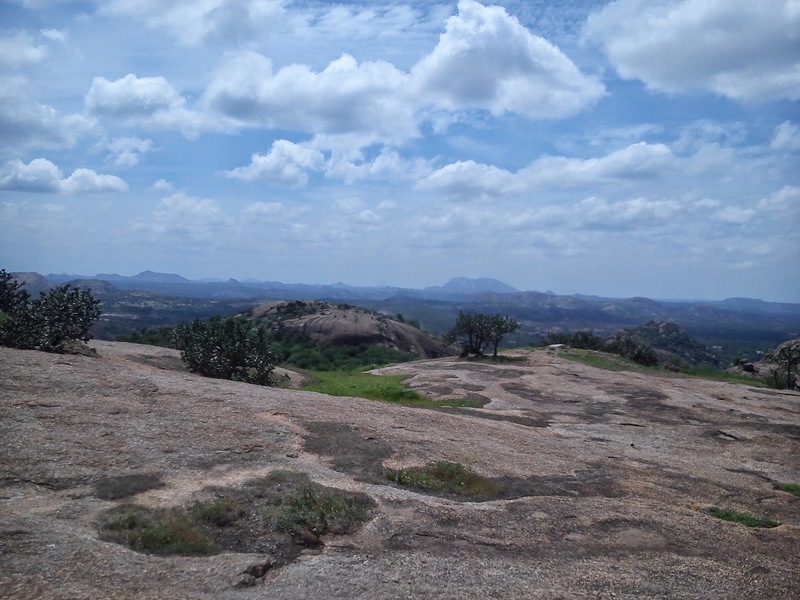 This year I did not get a chance to go on a holiday but I did manage to visit a few new places around Bangalore. As a coincidence I had written a similar post during the same time last year (A day outing - Bike, Roads and Food). So here are the places I visited in the last 4 weeks. 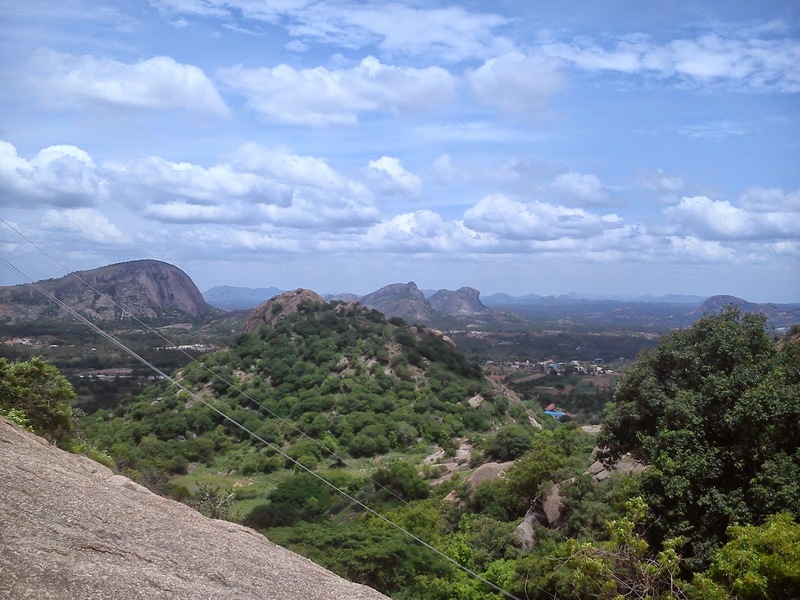 Omkar hills is located near Rajarajeshwarinagar on the Uttarhalli-Kengeri road. It is one of the highest points in the city. 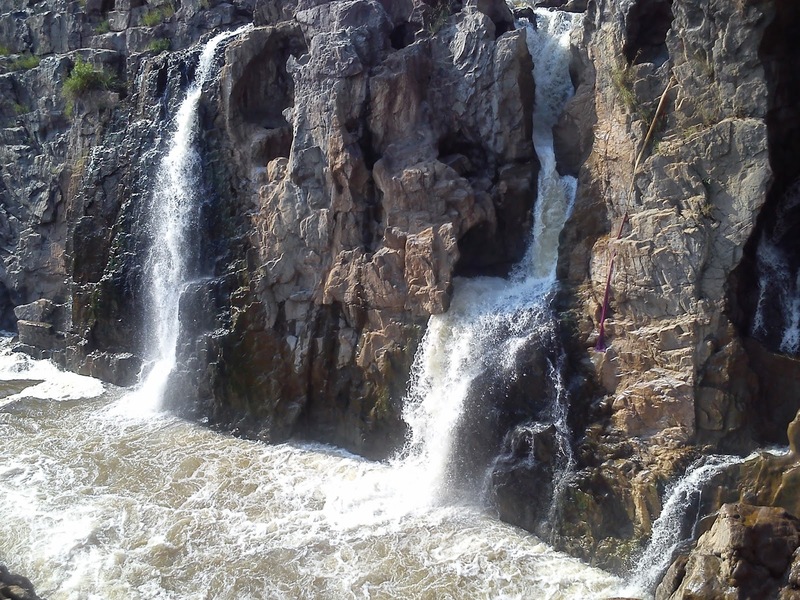 Visiting this place will not exactly be an outing if you stay in South Bangalore. 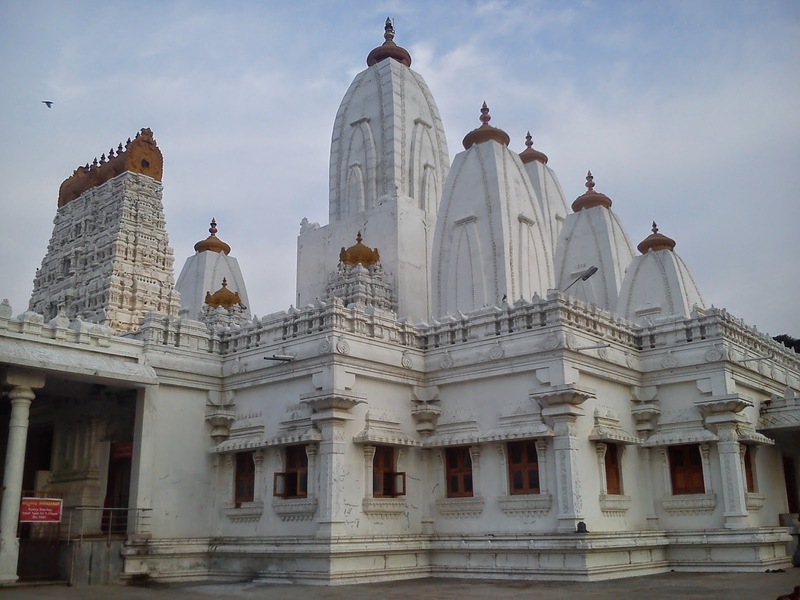 I visited this place for the first time around 15years back when I had come to Bangalore during summer vacation. It has changed a lot since then. 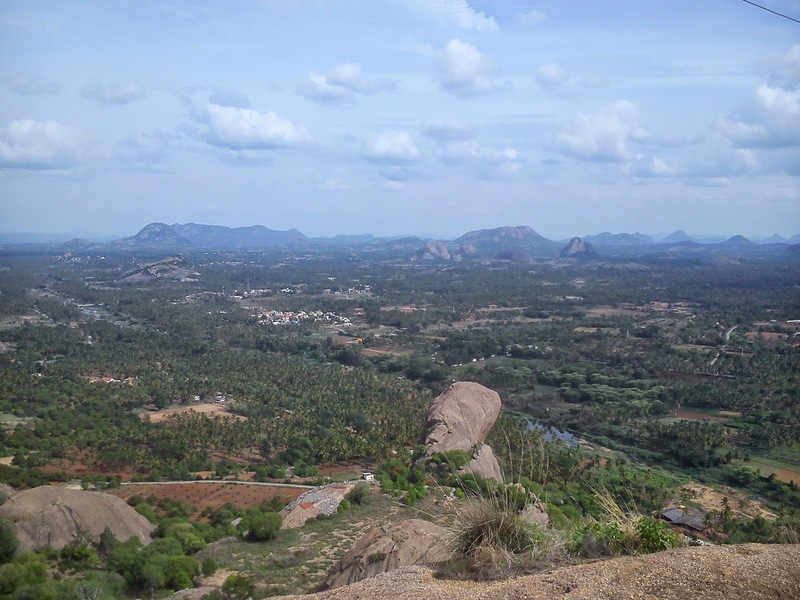 There is a temple dedicated to the Matsya Avathara of Lord Vishnu and the Omkar Mutt on top of the hill. 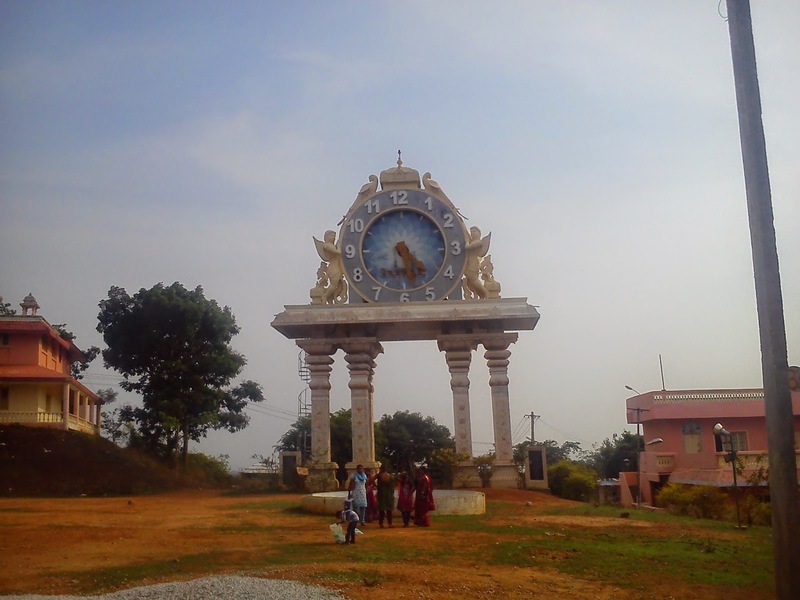 Before you climb to the temple you can see a large HMT clock and also a large banyan tree which has representations from all religions around it. It is better to visit this place in the evening. 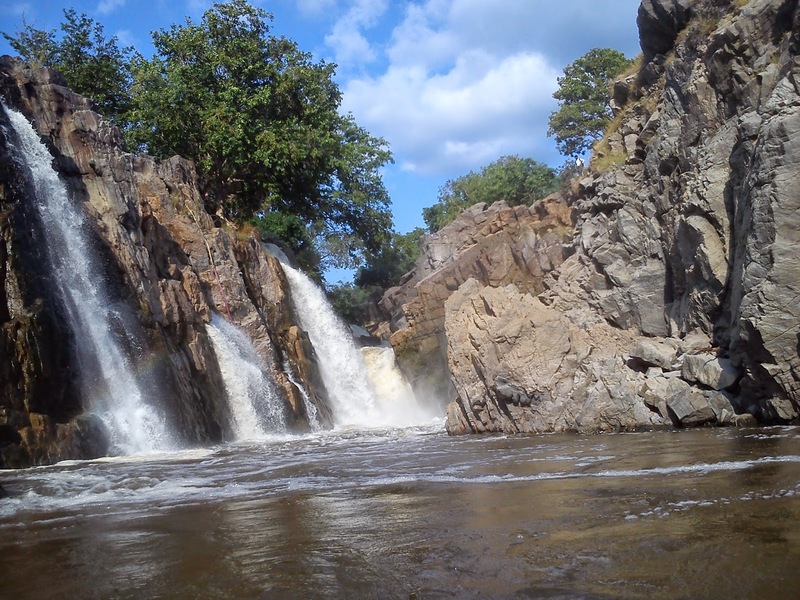 It was an accidental trip to this falls. We were going to Salem for a wedding reception and thanks to the amazing road we would have reached a lot early then the planned time. 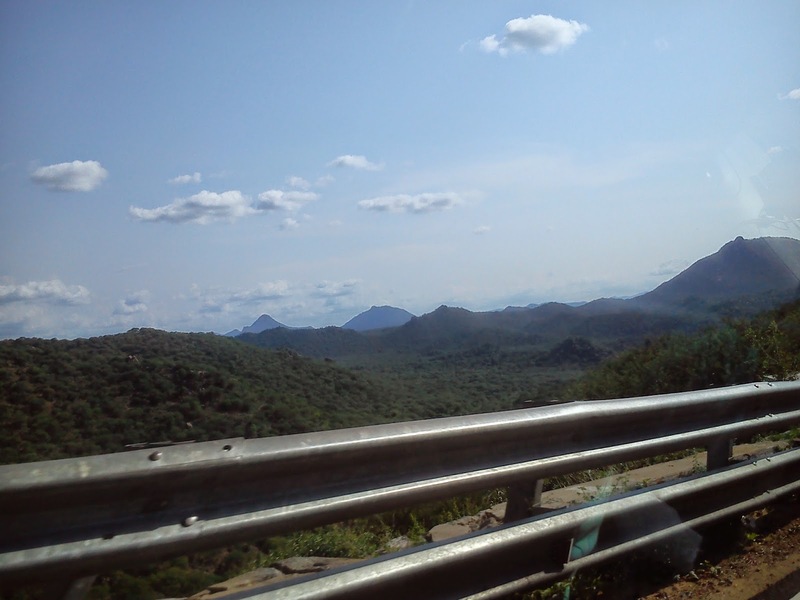 On our way we saw the diversion to the falls and just decided that we will go there. A word of advice, go there in the morning and spend the whole day there. There are teppas (boats) available for Rs. 900. 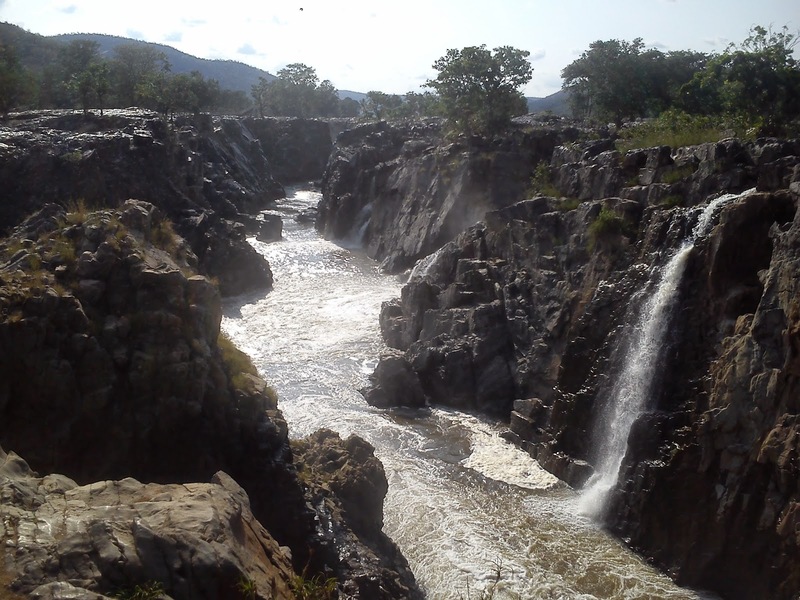 You can get a good look of the falls from the view point and the teppa will also take you to the base of the falls. You will be able to spot the huge rock from where Abhishek Bachan had done a jump in the movie Raavan. 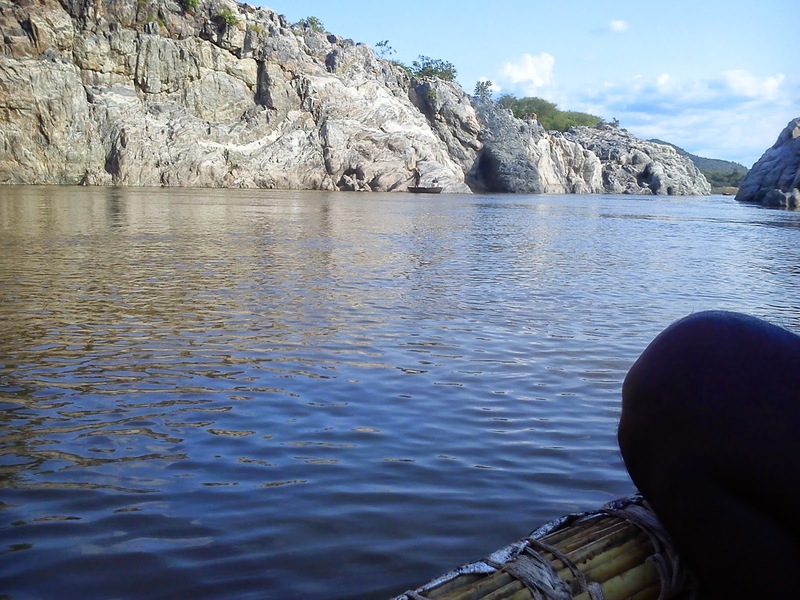 You can also spend around an hour in the boat which will show you around the rocks. You are allowed to take bath in the river. It will be hot and sunny so if you have a sensitive skin then take appropriate creams. 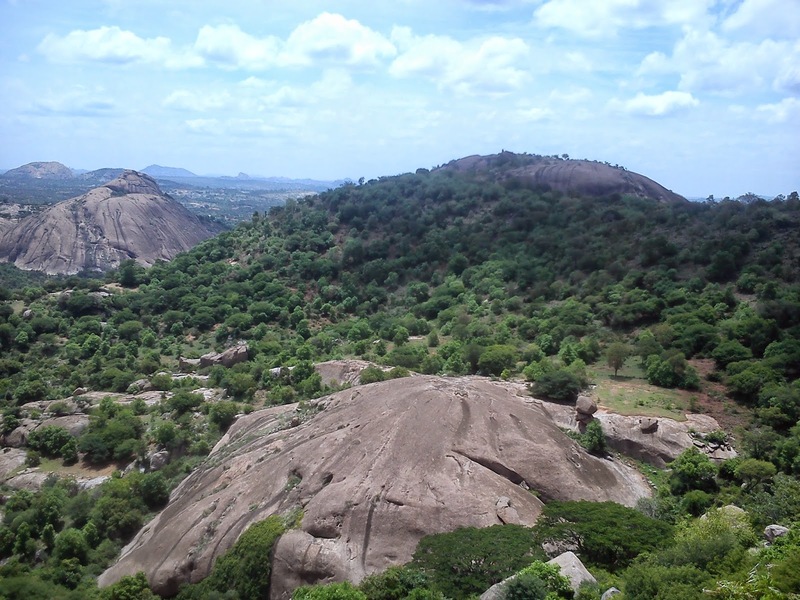 Ramanagar is the place where the movie Sholay was shot. We did not go to the exact location but we did get a view of the place. You can take the Bangalore-Mysore Highway to reach Ramanagar and before you enter the city you will see the road to goto Ramadevara Betta. It is around 5kms from the main road. You need to climb around 200 steps to reach a temple at the top of the hill. The view point is further ahead uphill. The final stretch is a 90 degree climb on the rock. There is support but the wind will make it challenging to climb. But once you reach the top, you will feel it is worth the climb. 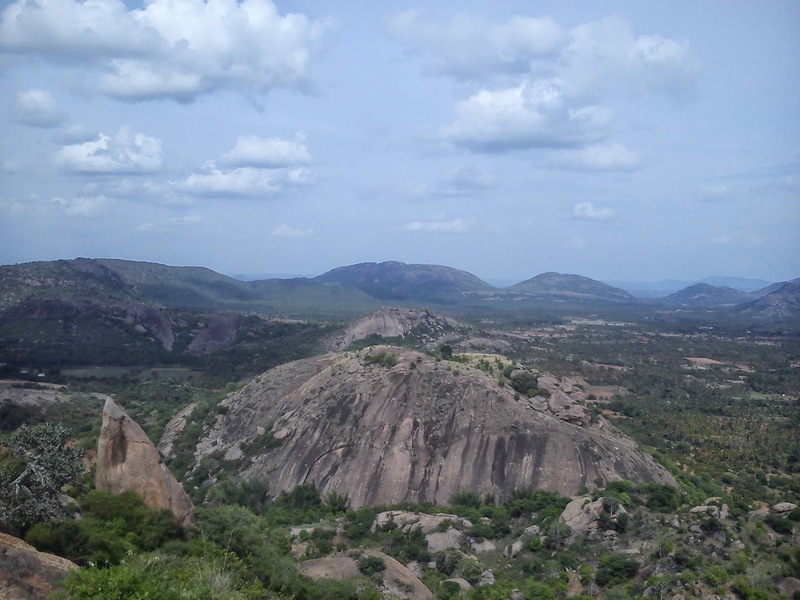 You can also trek at Kungalbetta which is on the Ramanagar-Kanakpura road. It is not that famous so you might need to ask the directions from the locals. The vehicle goes till the top and then it is around 1 km walk uphill. 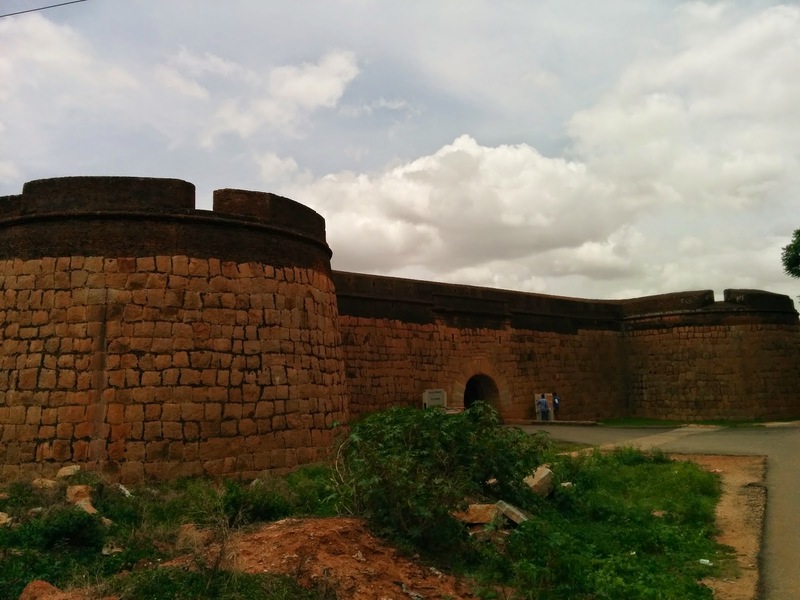 This fort is situated around 5kms from the Bangalore Airport Toll Gate. You will be able to see it on the right side. You can visit this place for half a day. 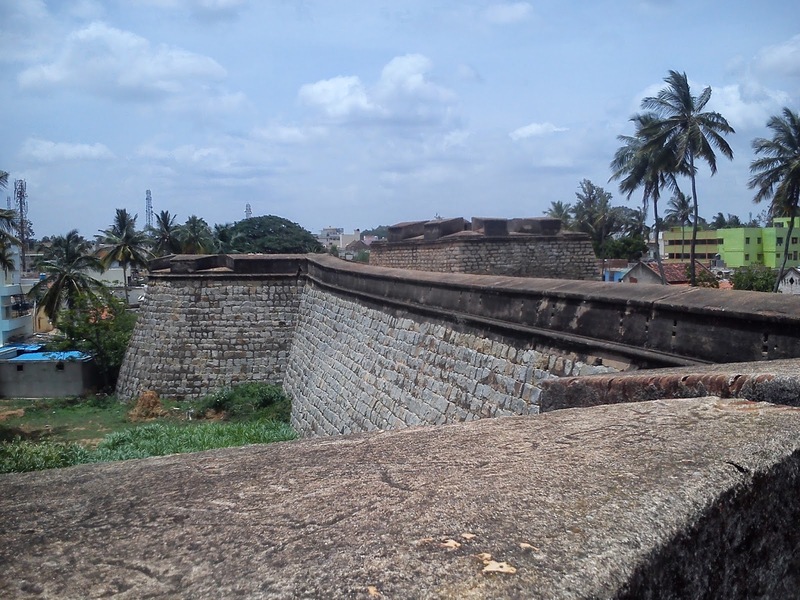 It will be a nice drive/ride on the new elevated road from Hebbal to this fort. 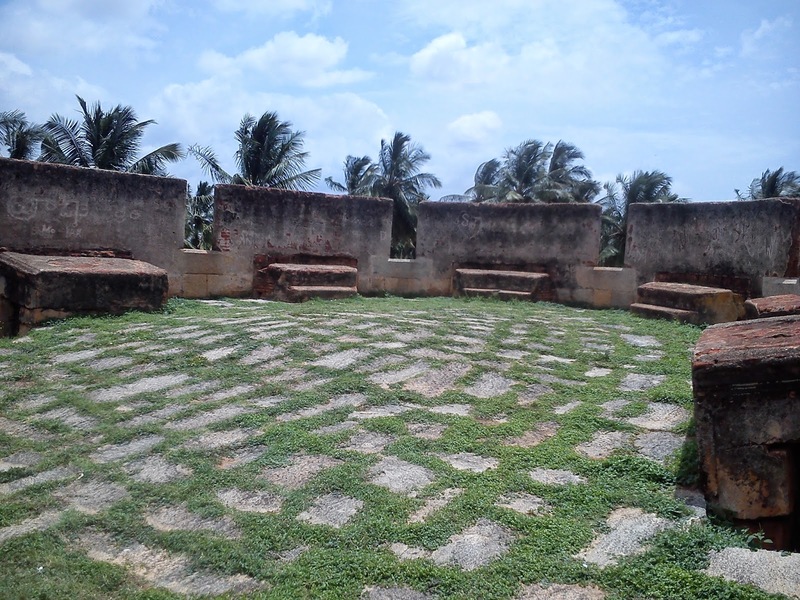 You can walk on the fort and can cover the entire stretch in around 30mins. 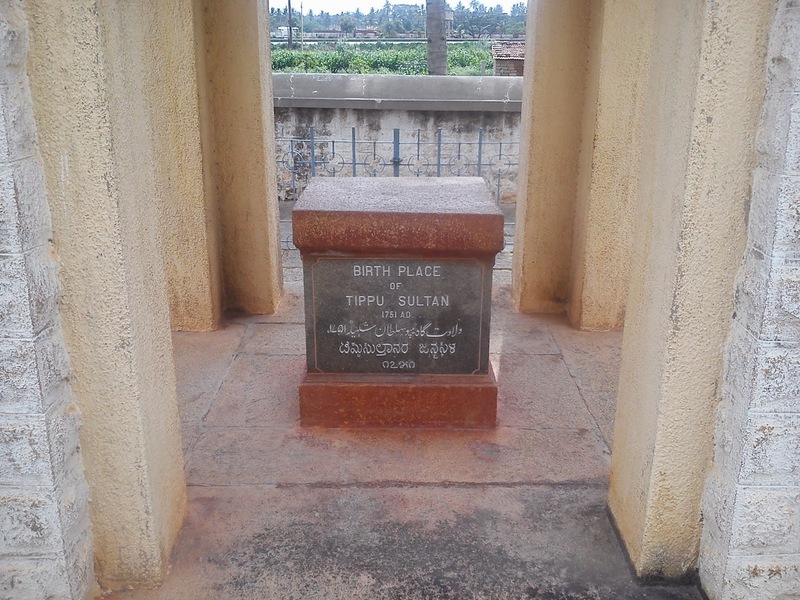 A little further to this place, there is the birth place of Tipu Sultan. At this place you can also buy Jackfruit and another type of Citrus fruit called Chakotha. Feel free to contact me if you need any additional information. If you are interested you can read more of my travel related blogs here.